Get your motor running: abundant natural snow, jaw-dropping scenery and Wyoming hospitality await you. Experience the power of powder in any of Wyoming's winter playgrounds. Wyoming has more than 2,500 miles of groomed and ungroomed trails waiting for you, including the Continental Divide Snowmobile Trail System, which is consistently ranked among the best snowmobiling in the country. Want to see for yourself? 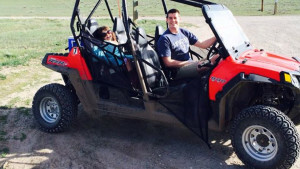 Many Wyoming businesses offer places to stay, guided tours and snowmobile rentals throughout the state. Browse all snowmobiling guides and outfitters below. Each trail system offers a little bit of everything for visiting snowmobilers. See wildlife and spectacular scenery from the trails. Toss up some powder in hundreds of meadows. Brave a wicked incline or two. It's all waiting for you. And, Wyoming's long snowy season gives visitors a chance to plan more than one adventure per season, so you can keep coming back again and again. Snowmobile trail grooming season is generally mid-December through the beginning of April. Located along the northwestern edge of the Black Hills uplift, the Bear Lodge Mountains are perfect for shorter jaunts through the powdered wilderness. Its 78 miles of groomed trails are accessible from Sundance, and loop through smaller hills and valleys, reaching elevations of 5,000 to 7,000 feet. The dramatic backdrop of the Bighorn Mountains infuses this vast trail system with a sense of rugged exploration as it rolls over steep hills and winds through unbroken glades of dry powder. With more than 218 miles of trails to choose from, riders can customize routes to accommodate skill level. 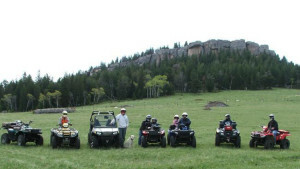 Newcastle and Sundance are the access points for the Black Hills System, which runs some 40 miles of groomed trail through northeast Wyoming before linking to the 295 miles of trail in South Dakota. Not surprisingly, riders can expect plenty of deep powder to boondock in the mountain meadows scattered through the western portion of Black Hills, which derives its name from the cover of pines that canopy it. 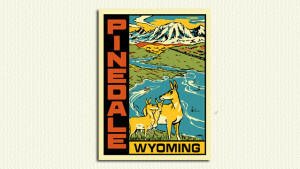 Located on the north end of the Laramie Range, Casper Mountain runs long and looms high over the town of Casper. Sledders can attack powder playgrounds at elevations of more than 7,000 feet while exploring its 46 miles of groomed trails. To explore the length of the CDST via sled is to experience the wonderment of Wyoming winter in its fullest. 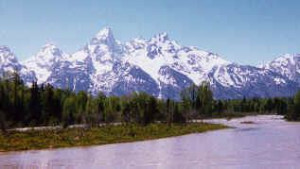 Named as the #1 trail in America by SnoWest Magazine, this 270-mile route follows the Wind River Range from Lander through Grand Teton National Park to the south gate of Yellowstone. Not only does the trail boast some of the best scenery in the Rocky Mountains, it also affords excellent opportunities for wildlife viewing and ice fishing. With an average of 25 feet of annual snowfall, the imagination didn’t have to run too wild in naming this range within the Medicine Bow National Forest. Any rider with a nose for boondocking will enjoy letting loose on an endless blanket of powder that stretches across open public lands and trail systems both groomed and ungroomed. 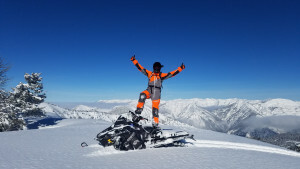 Ranked as the #7 snowmobile destination by SnoWest magazine, the Wyoming Range offers riders the opportunity to enjoy plenty of rarefied air along with its 335-mile trail system. 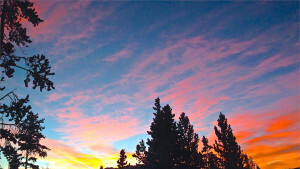 Indeed, many of its groomed and ungroomed trails top over 10,000 feet – a scenic reward for a strong ascent. In addition to the trails, sledders can access an extensive network of logging roads, as well as thousands of acres of off-piste riding terrain. From abounding wildlife to a pristine winter setting dramatized by immense thermal features, the world’s first national park is an endless source of exploration and inspiration, offering more than 3,400 square miles of federally protected land to take in. While the trails are only open to those with an authorized commercial guide, several hundred snowmobilers are allowed each day. Advance reservations are recommended. Advanced reservations are recommended. All snowmobiles in the state of Wyoming must have either a current Wyoming resident or nonresident user fee decal prominently displayed on the outside of each snowmobile. 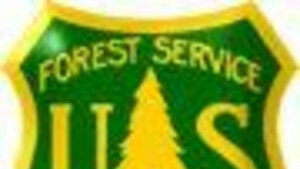 Permits are $35 and may be purchased at one of the several permit selling agents located throughout the state, at Wyoming State Parks or by calling 1-877-996-7275. 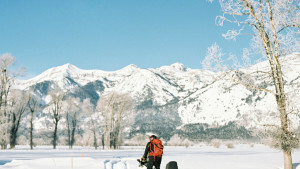 Wyoming has more than 2,000 miles of groomed and ungroomed snowmobiling trails waiting for you. 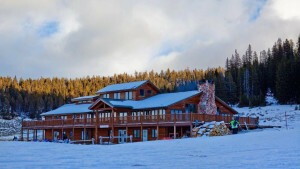 Plan on a guided tour or snowmobile rental during your winter stay.